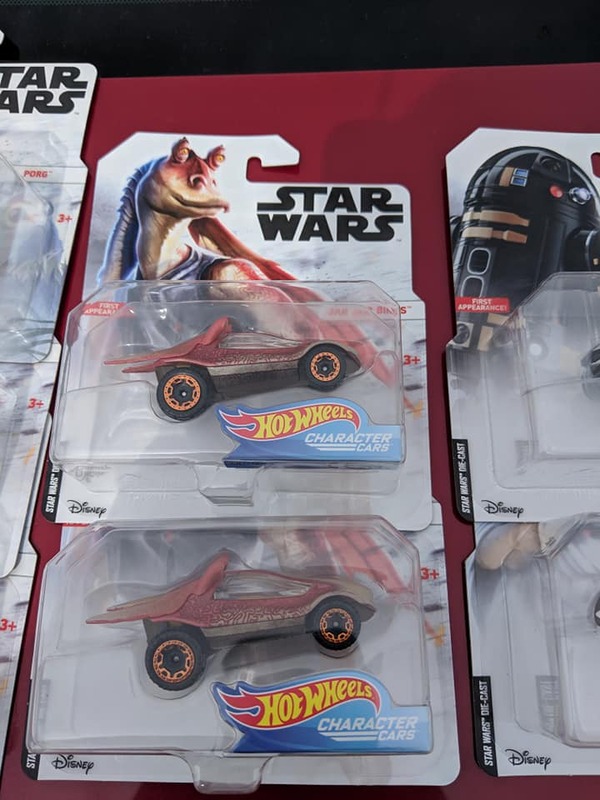 We’ve had listing for 3 long-rumored Hot Wheels Characters for some time on our Master List and today, via Tim C. in the Star Wars Hot Wheels Collectors Facebook Group, we get the first look Jar Jar, R5-D4 and R2-Q5. Click on through for a closer look. 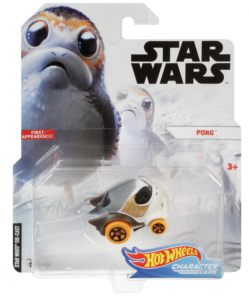 Mattel also is repacking several previously released character cars for 2019 but introducing a couple new “First Appearance” car molds as well, including a great Porg car! Click on through to check them out. Codes for these and more have been added to out Master UPC/DPCI/SKU List as well. Hot Wheels continues to expand their line of character cars with new takes of existing cars. 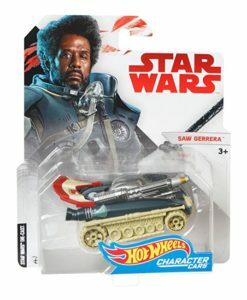 The Action Feature Series comprising of 4 cars feature deployable weaponry! Click on through through to check out hi-res images. 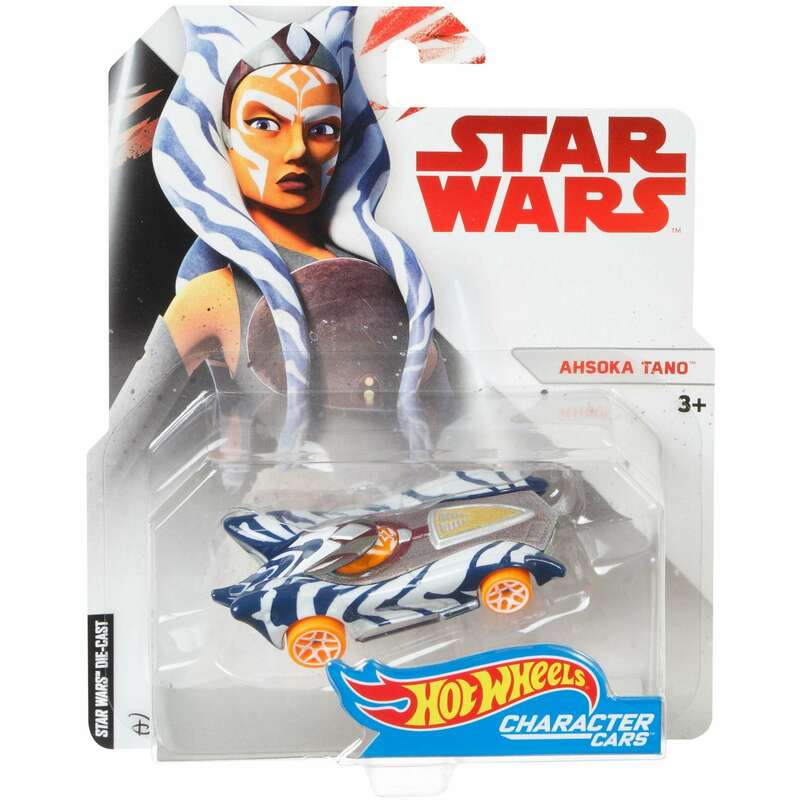 Today we’ve got a look at the upcoming Hot Wheels Ahsoka Tano Character Car from Mattel. Click on through for a closer look at the card art and car. Here is a first look at the upcoming Hot Wheels Saw Gerrera Character Car. 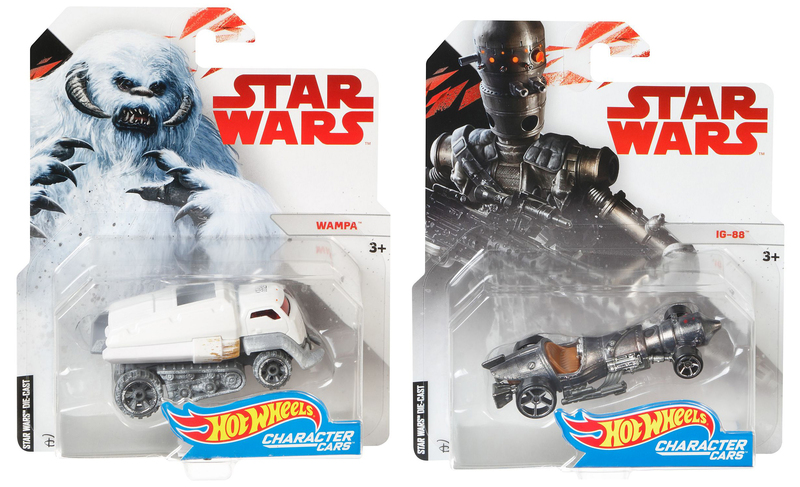 Look for it along with the Wampa, IG-88 and Lando Calrissian character cars soon. Click the image above for a closer look. Mattel has updated HotWheels.com and have added two new Star Wars Character Cars to their website – The Wampa and IG-88! Click the image above for a closer look. Thanks to @halolvr27 on Twitter for the heads-up. No, these aren’t a new type of walker in the Star Wars Universe. 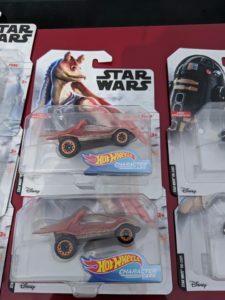 They are a new die cast segment from Hot Wheels where they take the familiar character car concept and apply it to all-terrain vehicles. 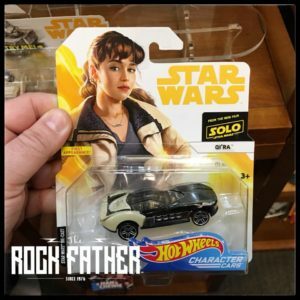 The All-Terrain Character Cars feature die cast parts and working suspension and come in four and six wheel configurations. 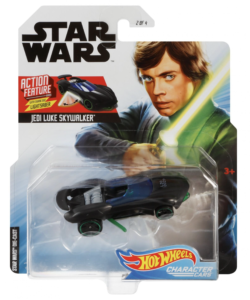 The cars have been found at Walmart include Luke Skywalker X-wing Pilot, BB-8, First Order Stormtrooper and Darth Vader.